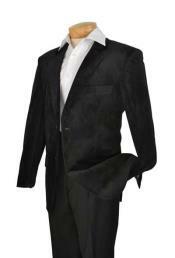 Mens Black Velvet Velour Jacket / Blazer / Jacket Trim Lapel Tuxedo Looking! Nothing can replace the grand look of velvet when it comes to fabric. Previously the velvet fabric was used by designers to design women's clothing. But with newer styles and fashion getting involved in the men's clothing industry as well, we can see that the velvet fabric is used in men's outfits as well like blazers, suits and even tuxedos. 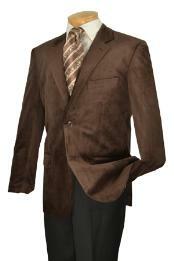 All colors suit the velvet fabric. The fabric is known to have a soft touch, with a thick and a slightly shiny appearance. Some outfits for men come in complete velvet fabric, while some others have some parts of the outfit designed in visible velvet fabric. 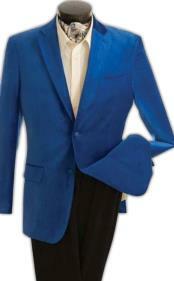 Men's velvet blazers come in different color options to choose from. Some of the most attractive and opted color options in velvet blazers for men include the dark red velvet blazer, blue velvet blazer mens, burgundy velvet blazer mens, royal blue velvet blazer, men's navy velvet blazer, and navy blue velvet blazer mens. 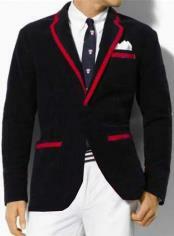 Apart from blazers, men also prefer to wear velvet suit jackets. These are the best opted outfits for men for occasions like black tie events, dinner dates and prom nights. You can find classic designs like single breasted style, double breasted style, and various fit options as well in velvet suit jackets. Velvet is a neat fabric that looks tidy on the outfit. These days the fashion trend is towards what is called as the 'crushed velvet fabric'. This trend gives the velvet fabric an untidy and un-ironed look, for stylish purpose. 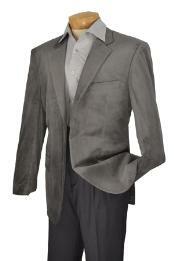 You can find classic crushed velvet jackets for men, crushed velvet blazer for men, and crushed velvet suit for men. 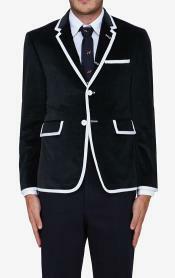 Apart from the crushed velvet blazer mens, another trending design is velvet and velour smoking jacket for men. 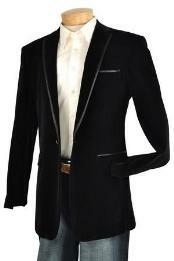 Find mens velour blazer, velvet coat for men, mens velvet smoking jackets, mens velvet dinner jacket, mens velvet tuxedo jackets etc as a variation option in velvet outfits for men. 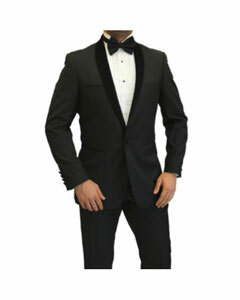 Occasions like weddings can be best graced by wearing classic style velvet tuxedos for men. Again even in wedding velvet tuxedos there are many color options available like the blue velvet tuxedo jacket, midnight blue velvet tuxedo, maroon velvet suit and tux, black tuxedo velvet jacket mens and so on. Slightly different to the fabric of velvet but very much similar to it is the suede fabric. It is not as popular as the velvet fabric, but there are suede suits for men that are sometimes worn for special occasions like for example blue suede suit. 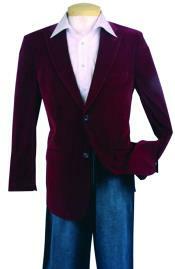 Mensusa sells velvet blazers, velvet tuxedos, velvet suits and jackets online at discounted prices. Pick the best that fits you right and flaunt your style in the trending velvet fabric. Browse this category to find a number of options in terms of color, size, pattern, style and design in men's velvet blazer collections.